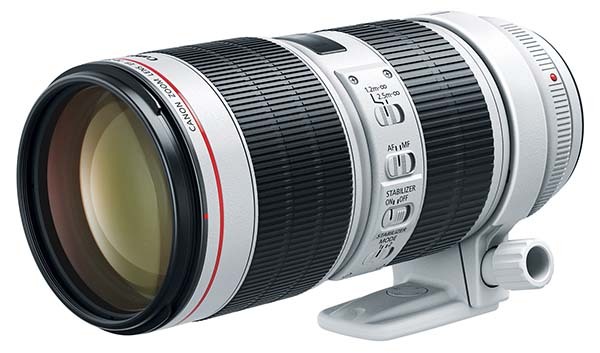 The main lens of many photographers, the EF 70-200mm L-series has been updated. Not to do things by halves, Canon has updated both the f/2.8 and f/4 Image Stabilizer versions; EF 70-200mm f/2.8L IS III USM and EF 70-200mm f/4L IS II USM. These lenses have been a pretty well guarded secret, or maybe I’ve stopped looking or information on the rumours sites. I’m interested in both, as I currently have both of their predecessors. I have the f/2.8 for it’s AF performance and the f/4 for it’s lightweight. So what do you get if you opt to update. This replaces the old version that was launched way back in 2006. I’ve checked the details on several Canon websites and this one now has a 9-blade aperture for smoother bokeh, plus a 5-stop stabiliser. Interesting is that when the old version was launched it had a 4-stop stabiliser, though maybe CIPA testing wasn’t around at the time. Still this means slower handholding speeds are possible for low light travel photos. There is also the three IS modes available, first seen on the super telephoto lenses from 2010. Pair the lens with a 1.4x extender for 280mm at f/5.6. The press release says that there’s a new AF drive engine and the AF speed should be better than the older model. It also focusses 20cm closer, down to 1m compared to 1.2m for the earlier version. This also replaces the older model that was launched in 2010, the key changes are to do with reliability and image quality. It uses the latest Air Sphere Coating (ASC) to reduce flare and ghosting. The stabiliser assembly provides 3.5 stops of extra stability, the old lens was 3-stops. This lens has an 8-blade aperture, not the 9-blade seen in the f/4 version. The EF 70-200mm f/4L IS II USM’s f/4 constant aperture provides consistent exposure in a range of varying lighting scenarios. The nine blades on the EF 70-200mm f/4L IS II USM ‘s circular aperture create a pleasing bokeh effect, blurring the background and helping to accentuate the subject. 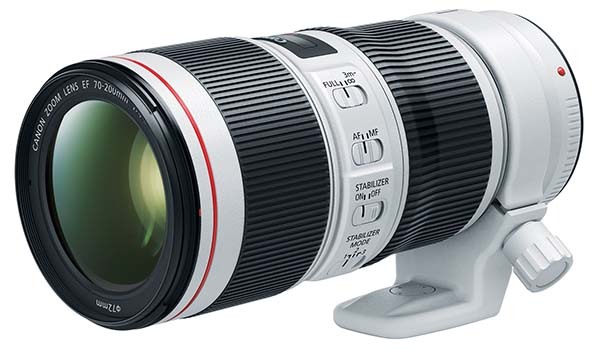 The EF 70-200mm f/4L IS II USM comprises a new Image Stabilizer unit, based on the design of Canon’s EF 100-400mm f/4.5-5.6L IS II USM, which delivers the equivalent effect of a shutter five-stops faster, compared to the previous lens’ three-stopsi. This is beneficial for any shooting scenario where the camera may be jostled, such as at film premieres, or shooting wildlife on safari. Please also check the press info from Canon USA, where the mention of the ASC coating is found.